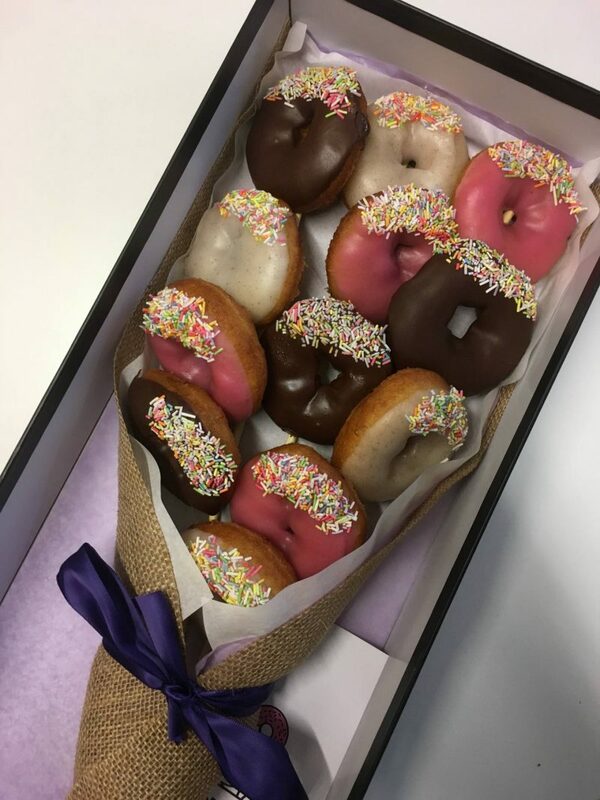 Receiving flowers is all well and good, but the main issue with them is that you can’t eat them, whereas a donut bouquet you can! 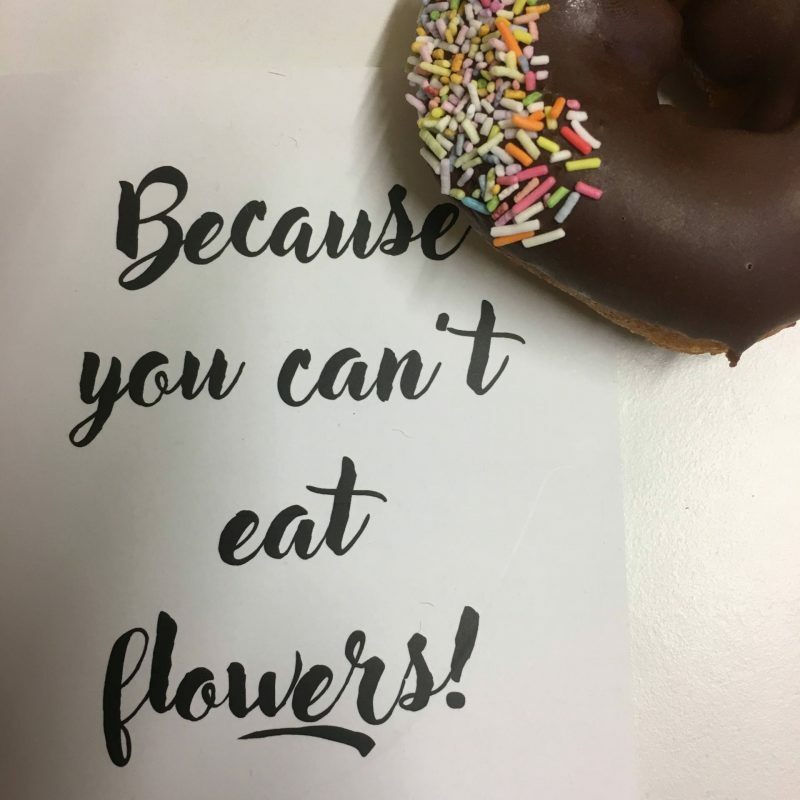 Yes, that’s something you can actually do thanks to the team over at Donut Bouquets. 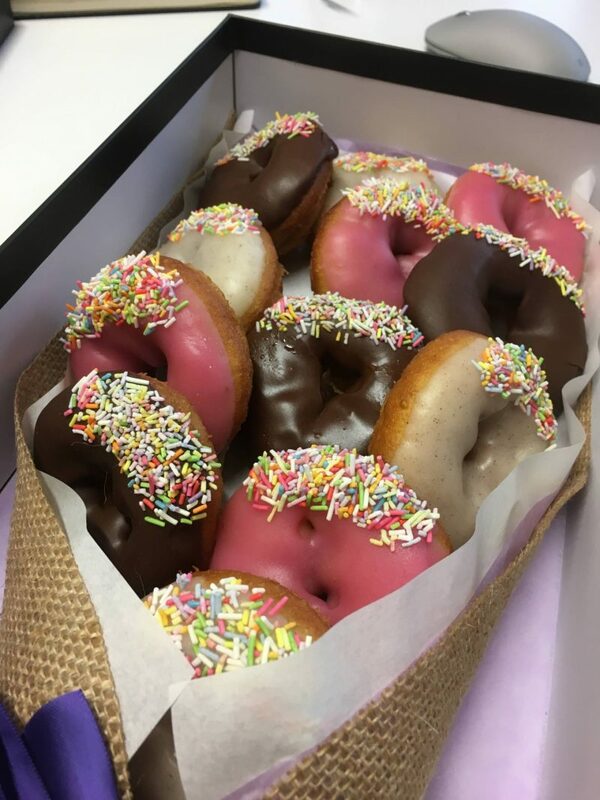 The team behind Donut Bouquets are a London duo who love donuts and thought it was time for a more exciting way to say “I love you”. Their donuts are made fresh in London and are guaranteed to make an impact. Which they certainly did when the box arrived at my office one Friday morning! The box itself is so well presented with a black gloss finish and their super cute logo in solver on top, it certainly turned heads as it made it’s way to my desk! The doughnuts come in three different flavours; chocolate, strawberry and vanilla, and are made fresh every day in central London. After doing lots of donut based research they decided to partner up with a “top 10 London donut maker” who makes the donuts from scratch using the finest quality ingredients, sourced locally and organically where possible. I quite like the sound of donut tasting research to find the best, so if you need help next time, then holla at me yeah?! Every donut is produced from single source white flour from Oxfordshire, milk powder, free-range eggs, sugar, baking powder, and some sunflower oil and water. The toppings, depending on your choice, are then made fresh using raw cocoa, reduced strawberries, or ground organic vanilla pods. I chose a mixed flavour box to try them all, but alas, being in a busy office I only managed to grab myself a chocolate one before chaos ensued around my desk and there were hands pinching donuts left, right and centre! I guess that’s my fault for sending them to my office! If they don’t disappear quite so fast as mine did, they will last three to four days as long as you keep them at room temperature, if you plan on keeping them any longer than that then it’s recommended to store them in the fridge in an airtight container, then reheating when you are ready to eat. The flavours all went down a treat, there were no complaints around the office at all. In fact, people were halving them as so many people wanted to have a try! Being the great girlfriend I am, I resisted the urge to eat mine at my desk as soon as they arrived, I took it home and had it with a cuppa! I told Mike I didn’t save him one as the office were so ravenous so he was over the moon when I rocked up with a mug of tea and half a donut (I obviously had to have the other half for tasting purposes) whilst he was editing our latest YouTube video. He deserves to be rewarded every once in a while right? I think it’s safe to say that the Donut Bouquet went down an absolute treat. Everyone thought the idea was so quirky and definitely better than flowers! I can’t wait to surprise someone with a bouquet very soon! If you want to be in with a chance of winning your own Donut Bouquet then enter the monthly bouquet giveaway here! The winner will be drawn from their email database on the 1st of every month, so don’t miss out! Thanks for organising Love London Pop-Ups! "Improving my Wellness with #MiraMoments *"